Random elements and unique situations in open world games are some of the best content to happen during gameplay in my opinion. Not only do they provide a change of pace during your time with a game, they are also a source of great talking points for players. Games like Far Cry 4, Red Dead Redemption or recently released games like Mad Max have so many of these unique events crammed under the hood that makes sharing of these stories equally fun and important. It with these ideas in mind that I’m creating a new feature to help tell stories from open world games and the experiences with them. With a ton of open world games releasing over the next half year, expect to see many of these posts crop up over time. First up is Metal Gear Solid V: The Phantom Pain and its expansive stealth playground. 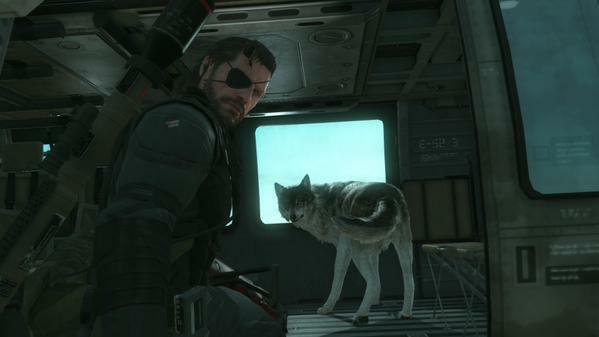 In addition to story based missions, Big Boss has access to what seems like an endless supply of side missions. While the objectives are pretty straight forward compared to the sometimes bonkers story missions, you’re not timed or scored, leaving only pure freedom of expression, letting the player decide how to accomplish the goal. One such side mission tasked me with rescuing a person of interest, a highly skilled soldier that would further help Mother Base develop into the world smashing power it was always meant to be. Unfortunately for me, the target was held in a hillside fortress of sorts. Getting in and out would be tricky. Stealth is my weapon of choice in games like these, moving to silently make my way to points of interest rather than run and gun to my destination. As such, I approached the outer edge of the fortress, moving through the shadows like a snake ready to pounce on unsuspecting enemies. My assassin fantasy was cut short by the sounds of an incoming vehicle which just so happened to park near my location, letting off additional troops. Not wanting to get caught, I waited patiently until the patrol moved on. After finding a weak point, I managed to infiltrate the base, only to realize there were troops just about everywhere, from the high walls, to the back rooms, and on the ground level. This certainly complicated things. I managed to move silently towards the back wall, making my way to a lone guard when the familiar sizzle sound suddenly flowed through my speakers, accompanied by the white marker indicating a guard was suspicious of something he saw. That something was me. With little to no cover available, I moved behind a nearby car hoping to avoid detection. As it turned out, the soldier had seen something he didn’t like and called for backup. At this point, the fortress went into alert, though thankfully, they hadn’t pinpointed my location. With three enemies huddled around my last known location, I took the opportunity to snake back around to try and flank a lone soldier between two vehicles. The jig was up at that point as I had entered the slow motion reflex mode as an enemy watched me emerge from the shadows. I rushed into a nearby room and switched to my fully auto rifle. Enemies tried to flush me out with grenades, but I had backed myself up around a corner waiting for the rush of reinforcements. After silencing a number of guards who wandered into my location, I moved towards the target, never forgetting my core mission. As I reached the target and stepped outside, I was met with gunfire from a newly reinforced group of enemies, one of which even ricocheted off the target. Not wanting to risk a mission failure, I dropped the target in a safe spot and went about defending my position. With a lull in troops and sunrise quickly approaching, I managed to fulton out the target and used the sewage pipes to slowly work my way around to the front. With a new patrol now on duty due to the shift change, I managed to sneak back around to the entrance, steal a nearby truck, and casually drive out of the base like nothing had happened. This is just one example of how the game can shift on a dime, forcing the player to adapt to what’s happening. While the mission was a straightforward rescue, the gameplay was anything but. Granted, there’s a ton of different ways this could have gone, but part of the fun is the fact that anything and everything can and will go wrong. This dynamic element is one of the things that will keep me coming back for a good long while. For those of you that have played MGSV, what are some of your favorite moments? This entry was posted in Emergent Storytime, Feature and tagged Emergent Storytime, Feature, games. Bookmark the permalink. I’ve been resisting getting this game (don’t want to get sucked into it), but, between this and the fantastic tales my friends have been spinning about this game, I might just have to accept defeat and join in on the fun. It sounds awesome! Keep in mind, this is coming from someone who has never played a Metal Gear game ever. I’m well aware of the series, but The Phantom Pain is my first time going hands on with the series. So far, I’m absolutely enjoying the experience. In my opinion, it’s well worth your time. That’s good to hear actually. I’ve never touched a Metal Gear game (except for a very brief attempt at MGS4), so part of my concern is not being able to follow anything that’s going on. Yeah, I recognize names liek Revolver Ocelot because he has been a big character throughout, but I don’t know the Peace Walker story at all. Still, it doesn’t matter. 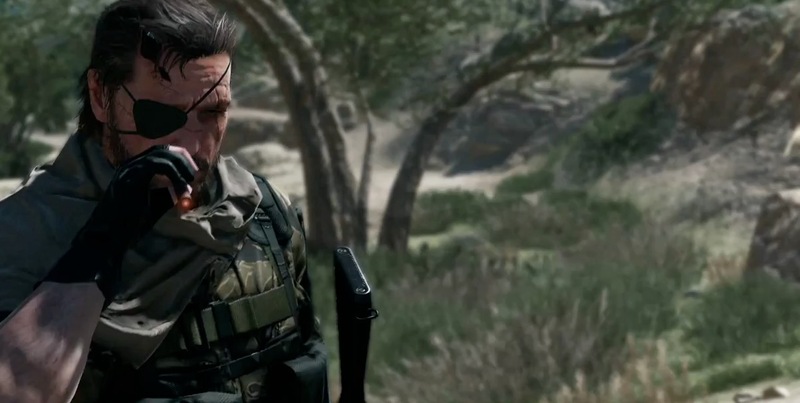 Phantom Pain gives a great overview of the Ground Zeroes story and then you’re basically off and running from there. The game seems to be more focused on the gameplay and world rather than a deep and rich story. It’s there, but it’s not nearly as prominent as past games. AKA, no 15 minute long cutscenes in this one.